Brad Oyler's blog: The HTC Dash, the "best buy smartphone"
The HTC Dash, the "best buy smartphone"
The HTC Dash has my vote as the "best buy smartphone", for a few reasons, but mostly because of the price. 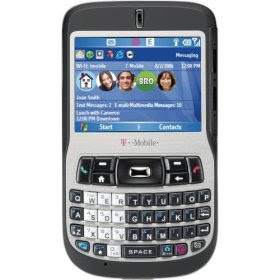 Amazon is selling this phone for $.01 with new T-Mobile 2-year contract and then you get a $100 rebate in the mail. Switching from AT&T was a no-brainer, considering this phone would of cost me $300 with a 2-year contract extension and cost would have been around $80/month. With T-Mobile, I receive a comparable service for $65/month. Once again, the choice was very easy. -that the camera could use an upgrade and maybe a flash. -a little slower that some other more expensive Smartphones. 3. Download GooSync to sync up with your gmail calendar events. 4. Sign up for a windows live account at Live.com, I do this mainly because it's easy to sync up my contacts from any Windows Mobile device.